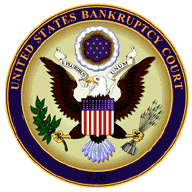 On 8 Oct 2018, Premier Exhibitions filed a Notice of Cancellation of Auction with the federal bankruptcy court as no other bidders met the minimum required. This means that the bid submitted by PacBridge Capital Partners (HK) et al for $19.5 million will stand. The company will now seek the court approval to sell the company and artifacts to them. The Equity Committee has filed motions opposing the sale and still seeks other bidders. The National Geographic reports that last Friday (29 June 2018) the U.K.’s National Museum and National Museums of Northern Ireland have filed papers with the bankruptcy court pledging to raise $19.2 million to buy Premier Exhibitions and the Titanic Exhibition. 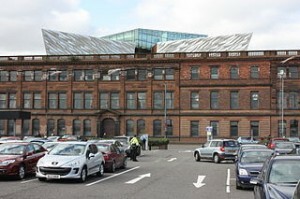 Both museums would co-own the artifacts and display them in Belfast. The non-Titanic part of Premier would be acquired by another exhibition firm called Running Subway. It is also reported that the CEO of Running Subway is on the Creditors Committee and that Premier’s creditors support the bid. A rival bid by existing shareholders is offering $17.5 million at the moment. 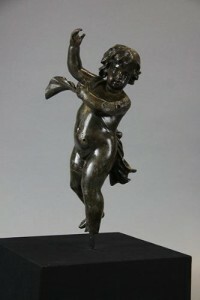 Another proposal from the equity holders calls for splitting up the artifacts and selling them at auction. The National Maritime Museum is pledging to conserve the artifacts and has the facilities to do it. They are worried that history would end up in private hands and possibly disappear. 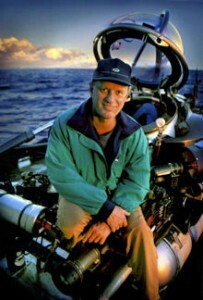 Famed explorer and one of the two men that can claim to have found RMS Titanic (the other was Jean-Louis Michel of Ifremer also aboard Knorr at the time), Bob Ballard, is a supporter. Certainly this adds a new complexity to the upcoming hearing on July 25 where the proposals will be considered by the court. If they can raise the money, they might be able to pull it off. Then again there are a lot of competing interests and lots of jockeying going on behind the scenes. Also the lawsuit against former officers could have an impact as well though hard to say at this point. Another fascinating wrinkle in this story. Stay tuned, this is going to be interesting. Premier expects to conclude the process by October 9, 2017. In the event that an auction is to be conducted, it is expected that such auction will occur by December 12, 2017, at which time other potential bidders will have the opportunity to bid against the stalking horse bidder. 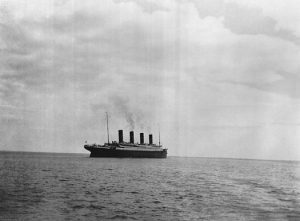 Among other things, bidders are competing to own the most valuable, unique collection of Titanic assets ever offered for sale. The collection includes approximately 5,500 individual pieces that have been recovered from the wreck site over the course of seven deep sea dives; ownership of video footage, imagery, and other intellectual and personal property; and the opportunity to be designated “salvor-in-possession,” permitting the owner exclusive salvage rights to the wreck and wreck site. The portfolio of artifacts, with enhancements recognizing the value of the intellectual property, was appraised at $218MM in 2014. The auction of the collection is subject to approval of the US District Court for the Eastern District of Virginia, Norfolk Division, and the United States Bankruptcy Court for the Middle District of Florida (Jacksonville Division). 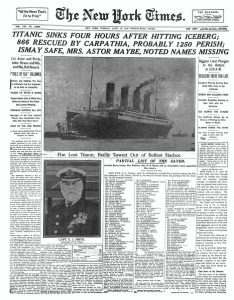 For more information, please visit www.titanicartifacts.com. 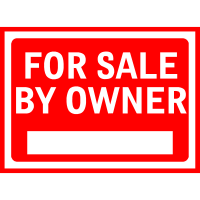 What it means is this: the company can be sold either whole or in parts depending upon the buyers interests. And the Titanic artifacts can be sold either as part of the sale of the whole company or through selling RMS Titanic Inc. The snag that has caused no sale on those artifacts under the salvage award is that they cannot be sold in lots or individually but as the one collection. And the price is simply too high. Under the present circumstances, the price might be lowered and also the possibility the bankruptcy judge might order it sold in lots in order to be sold. Before any of this can move forward, the judge has to agree to a disclosure statement. Long ago when RMS Titanic Inc was made part of Premier (after some of the original founders of the company were removed and replaced) many thought it would lead to a better valued company. One wonders what really happened here. Titanic became very big after the movie and the centennial of the sinking. Belfast Titanic has done very well and makes money. Either the company was mismanaged and got way over their head or totally miscalculated how to monetize the assets (their exhibitions) to make a profit. Instead of Chapter 11, this is more like Chapter 13 now. The company’s assets are going to be sold in whole or in part to others now. The ghost of George Tulloch is laughing at those that brought this about. Things are getting a bit testy at the Titanic bankruptcy proceeding. Euclid Investments and Euclid Claims Recovery filed an objection to the company seeking an exclusivity extension. In simple terms they are not happy that Premier appears to be dragging its feet on following through on what is required to be done. “….management’s abject failure to engage with the statutory committees in moving these cases forward before now cannot be ignored. It has had the effect of placing estate stakeholders in an urgent and untenable position with little time remaining to formulate the terms of a chapter 11 plan as the estates now appear on the verge of operational insolvency.” Ouch.